A Canberra Contractor that secured the contract for the ongoing rehabilitation of the ageing ACTEW water and sewer infrastructure requires individuals with a specific and unique skill set. The challenges faced in directly sourcing suitable candidates for the positions, when they do became available, was simply too time consuming for the Head Office. The Employ Me Canberra Team was contracted in March 2014 to assist the Head Office in recruiting suitable Civil and Labour Candidates. 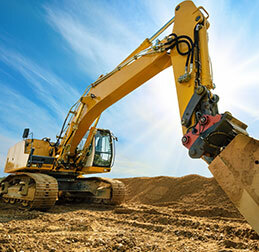 Since March 2014, Employ Me Pty Ltd has recruited the required civil operators and labourers needed by the Canberra Contractor, covering a range of skill sets from site supervisors, excavator and machine operators, through to truck drivers and labourers.